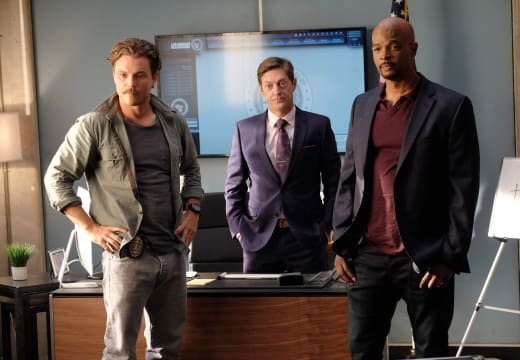 Tonight Lethal Weapon gives us inside look at Captain Brooks Avery when a dark secret of his is uncovered during an investigation into the murder of a Texas Ranger. He turns to Trish for help and...we'll have to wait and see what happens. 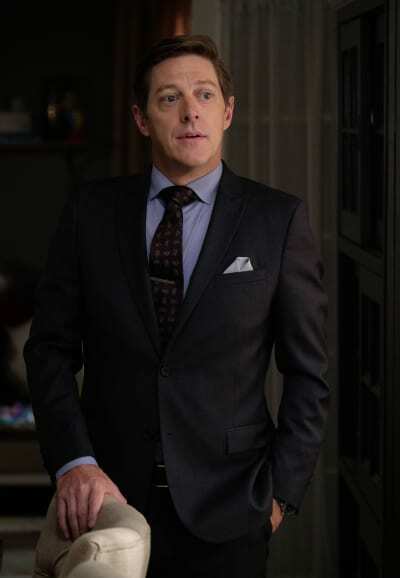 We chatted with Kevin Rahm about Avery's secret past, the fan love for Lethal Weapon, and Rahm's upcoming psychological thriller, Clinical, which drops on Netflix this Friday, the 13th. TV Fanatic: How can such a good guy like Avery have any dark secrets? 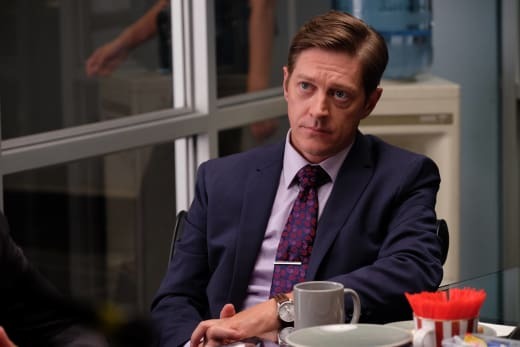 How’d he manage to hire Trish as his lawyer? KR: I don’t know that he actually hires her. We never got into the details of how the payment would be made. I’m sure it was more of a favor. This is his old partner’s wife. They’re like family, and he needs help. He goes to her for help. What do you love most about playing Captain Avery? KR: I love being in the room with Clayne and Damon. Those are my favorite scenes when the three of us are in my office. Sometimes it’s the boys’ club, sometimes it’s me giving them a hard time, sometimes it’s me being a friend and a former partner. What has surprised you most about Lethal Weapon as a series? KR: I’m surprised at how they walk every week of being three different shows. That being an action, a comedy, a drama. I think it’s unbelievably difficult to do, and I think they get better at it every week. We’re still finding that line, and it’s exciting and challenging at the same time. Why has Lethal Weapon connected so well with the fans? KR: I think part of it is that it is all those shows combined. I think there’s different types of television. There’s fun television and then there’s heavy television and I think it tends to be a little bit of both. I think there’s a character for everyone to relate to. You guys are very active with the fans on Twitter, why do you think that’s important? KR: I think it’s important to let them know you appreciate (them). What we do can’t happen in a vacuum, you know. Without the fans there’s no show. I feel it’s important to show appreciation to the people that because they watch your show you have a job. KR: The pilot was just amazing with what they were able to accomplish in a one-hour TV show. Obviously, you can’t keep that up every week just financially, because we took more time shooting the pilot. Personally, for my character, [“Lawmen”] is my favorite. You get into the history of Avery and more insight into Avery and his point of view. Are there going to be any good surprises? KR: Yes, Very good surprises. I rarely get to go into the field and this is one time where I get to go out into the field, and Avery has tough decisions to make, and it could come down to do the right thing which could jeopardize his career. What’s in Avery’s lunchbox and how is he able to keep Riggs’ away from it? KR: [laughs] Avery’s lunchbox probably has sushi and some kind of kale and quinoa salad, and Riggs won’t have anything to do with it. KR: I’d like to tell the fans, “thank you.” We’re very grateful for people watching and we hope to keep being able to do this show and this job. Check out Clinical on Netflix on Friday. Clinical on Netflix. Can you tell us a little bit about that? KR: It’s a psychological thriller. Vinessa Shaw plays a psychiatrist who was attacked by one of her patients two years prior and is just now starting to see patients again. And I play a character who was in a really bad car accident and had to have a facial transplant where they transplant another person’s face on top of your face to make you look less ghoulish. It’s a psychological thriller. Alistair Legrand directed it. How’d you get involved with that project? KR: I got a call from Alistair [Legrand]...and we had a meeting and he had me read a script and I thought it was really interesting. I liked it a lot. Loved the challenge of it, because it was hours of makeup everyday to put this mask on. First of all, I thought the script was great and I loved the idea of that challenge. It was very challenging, but also a lot of fun. I saw a cut of it about a week ago and I was very pleased. I want everyone to see it. It drops on Netflix on Friday the 13th. Be sure to tune into Lethal Weapon Season 1 Episode 11 tonight to see this all go down!